David Werfelmann, associate professor and director of the Bachelor of Arts in Music program, has been named a semifinalist for The American Prize. He is recognized in the "instrumental chamber work" category for his composition Suite à l’antique. "Suite à l'antique is a collection of five movements loosely modeled on the dance suites of the Baroque era," said Werfelmann. "Each movement is unique in character and affect, drawing on relationships to the traditional dance form in different ways." "The first movement, Prelude, is a cascade of broken chords that drift lower and lower over a chromatic bass. The second movement, Pavane, though not traditionally found in Baroque suites, occupies a special place in the French dance literature. Movement three is a pair of minuets, played da capo, that perhaps more than the other movements, explores the traditional structure of Baroque dances. The fourth, Sarabande, is dark and foreboding and features a veiled quotation of Baroque composer G.F. Handel. Finally, the Passepied is a quick dance that brings the work to a lively close." The work will be performed by Mieko Bergt and the Ariana String Quartet on Sunday, Feb. 17 at 4 p.m. in Moore Auditorium. 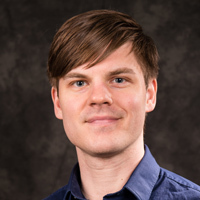 Werfelman also recently received a Faculty Research Grant for 2019-20 to support performance of the work this summer in Belgium at the College Music Society international conference. The American Prize is a series of non-profit national competitions in the performing arts providing cash awards, professional adjudication and regional, national and international recognition for the best recorded performances by ensembles and individuals each year in the United States at the professional, college/university, church, community and secondary school levels. The American Prize was founded in 2009 and is awarded annually. Previous American Prize awards related to Webster University's Department of Music include Samantha Schmid BA ‘11, who in 2016 won the American Prize in Vocal Performance in the category "women in art song and oratorio, college/university division." Webster University Chamber Singers, led by Trent Patterson, reached the semi-finals in 2015.